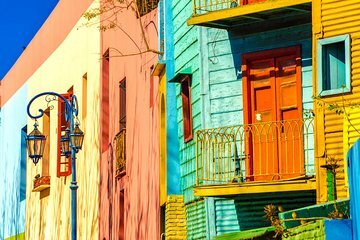 Enjoy personalized attention and a flexible itinerary on this private full-day walking tour of Buenos Aires. Get to know the city streets like a local in the company of a dedicated guide, who will provide commentary on the city's rich culture, history, and top landmarks. Highlights include the Colon Theater, South America's first subway, Corrientes Avenue, the Obelisk, San Telmo, La Boca, and others.